SC-Networks GmbH is an e-mail service provider and the manufacturer of Evalanche, a web-based e-mail marketing solution, based in the European market. SC-Networks is especially developped for e-mail marketing at agencies and major corporations with international operations. Evalanche is used internationally by more than 3,000 companies, including renowned companies and organizations such as Avery Zweckform, Manpower, Hansgrohe, KUKA Roboter, KYOCERA Document Solutions, ÖKO-TEST, swissMilk, Sennheiser, UNIQA Versicherungen, B&R Automation as well as several hundred hotels and more than 250 top agencies. The company was founded in 1999 in Penzberg near Munich and moved to larger premises in Starnberg in 2009. SC-Networks continues to grow swiftly and has representatives for the UK, Swiss, Austrian, Italian and New Zealand markets. The company was set up in 1999 with the business idea of developing e-marketing solutions as web-based applications. From the outset, the focus was on a particularly good usability and a consistent client capability. With the first release of Evalanche some major clients in 2003. SC-Networks then established itself fully on the German-speaking market at the end of 2006 with Evalanche V3. 2011 was dominated by certifications – the CRM interface of Evalanche was submitted for certification at SAP and salesforce. And the software was the first e-mail marketing solution worldwide to be awarded the TÜV seal in the areas of functionality and data security. Evalanche V4 has been released since August 2011.The range of services was rounded off by a high-performance comprehensive managed service for special requirements. 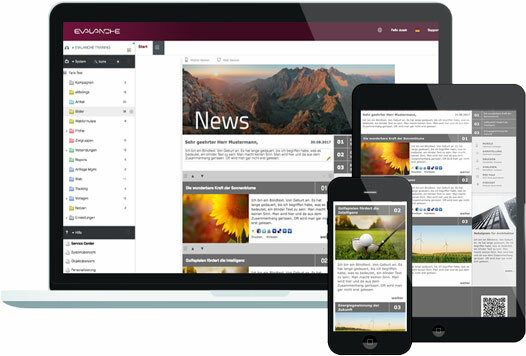 Evalanche V5 was launched in October 2014, with additional lead management & marketing automation functions. Evalanche V6 has been available since November 2016. The update focuses on the newly developed Campaign Designer for fully automated lead and lifetime management campaigns as well as many other features and system improvements. Evalanche V7 has been available since December 2017. Highlights of the update include interface design optimization, technical requirements for generating EU-GDPR compliant leads and new conditions and nodes in the Campaign Designer for even better automation. SC-Networks Evalanche is a member of the Certified Senders Alliance. Are you looking for an SC-Networks Evalanche alternative for your email marketing? We listed some SC-Networks Evalanche alternatives. Evalanche is specifically tailored to the needs of agencies and international companies and allows for efficient marketing automation and lead management. Evalanche is in use by more than 3,000 companies and numerous agencies across Europe. Evalanche offers e-mail marketing and TÜV-certified data security - Made in Germany. Creating complex, cross-media newsletters can be easy for web editors - without requiring any programming knowledge. 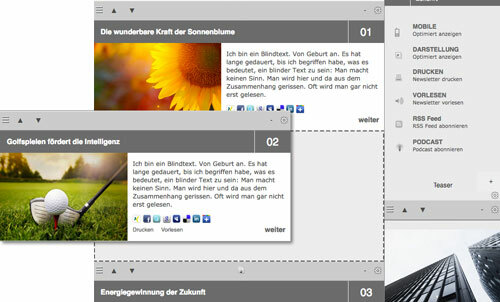 Enter texts and images for newsletters using the CMS-editor via the web interface. In addition, the Evalanche-Mobile Check checks whether newsletters are optimally displayed using Blackberry, iPhone, iPad, Windows Mobile, Android or Symbian OS. This makes it easy to create newsletters and emails that are automatically adapted for the respective devices. With just a few simple actions you can, for example, replace the cover image of your e-mail or newsletter, edit the introductory text or change the order of your articles. You can simply move the articles in the visual editor with the mouse using drag & drop and see immediately how the e-mail will be displayed to your recipients. 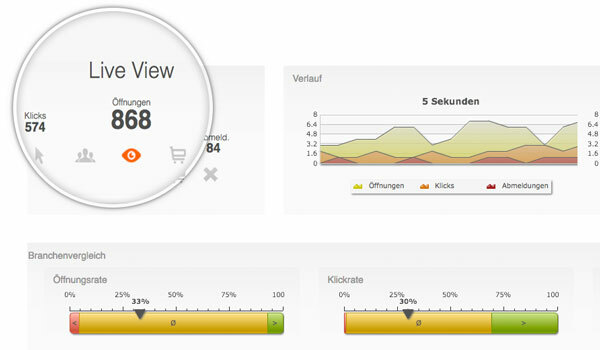 Evalanche allows you to observe the customer behaviour results in real-time, during ongoing dispatch. Upon completion, you receive detailed statistical analyses providing you with information about the exact behaviour of your customers. In addition, it is easy for you to compare the results of your campaigns, such as opening rates, etc., with the industry average. This gives you valuable clues about possible optimization measures for your mailings. You can use Campaign Designer in Evalanche to easily create automated campaigns. The Campaign Designer combines business process management methodologies and object configuration in Evalanche. With the campaign module, you can use the drag-and-drop function to configure the individual modules based on your desired processes. With the configuration menu, you can quickly create comprehensive campaigns and run them in a fully automated fashion. 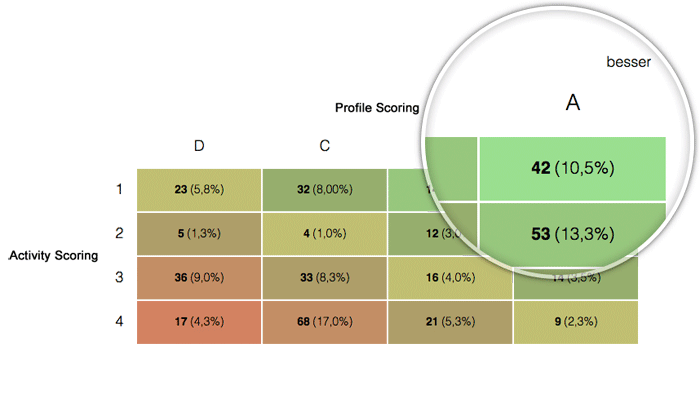 With Profile Scoring, you can evaluate the quality of leads based on profile properties such as a person’s position in a company or the industry sector. You can use the explicit profile information or profile scoring to display Buyer Persona concepts. With Activity and Content Scoring you can validate the interests of your leads based on their click and information behavior.